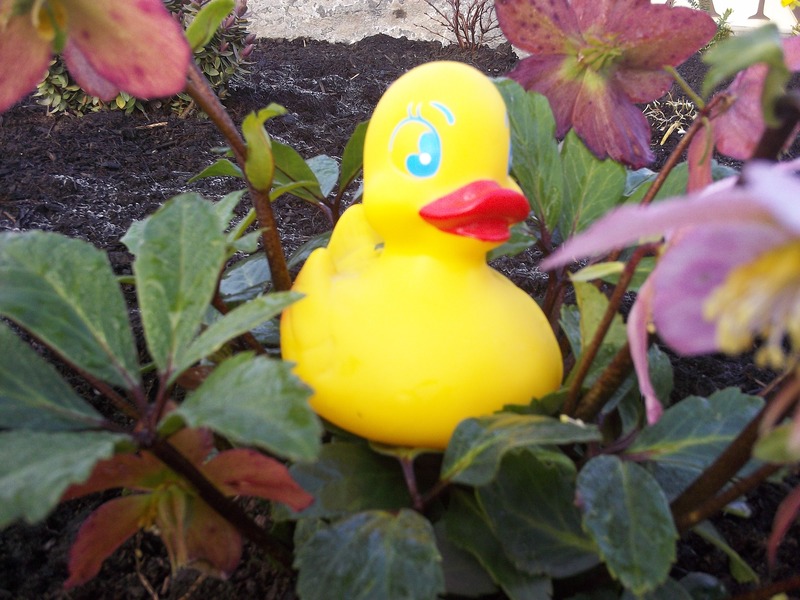 As you may have noticed, I have a thing for rubber ducks. And, I have a small flock of the little squeaky sweeties. 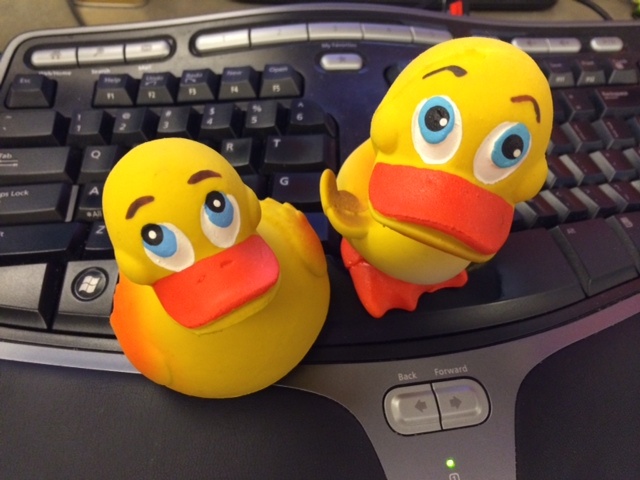 Meet the Rubber Ducky Copywriter Flock. 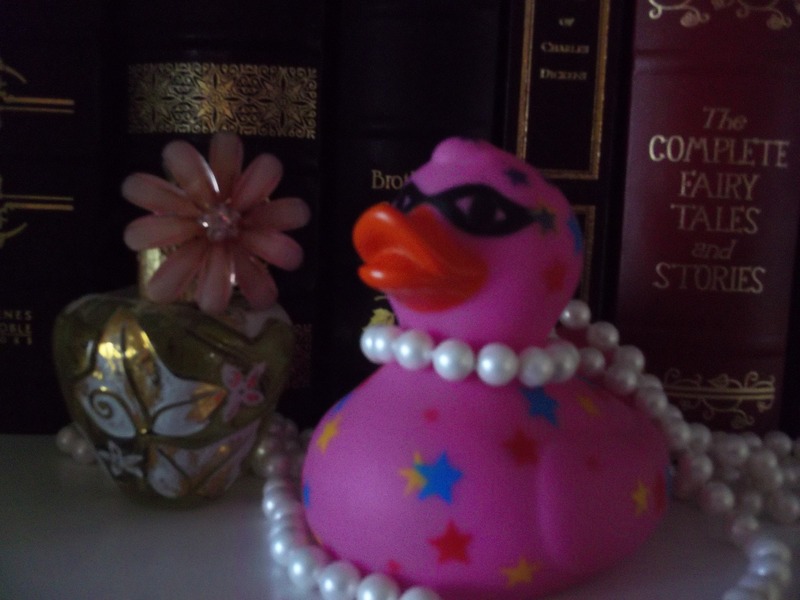 Miss Ducky is my first rubber ducky. I bought her to help make bathtime for my Shih Tzu Princess easier. Did it work? Not even a little. Princess promptly dunked me headfirst in the bathtub. Now that Princess has passed away, I still smile when I look at Miss Ducky. Hot pink and sassy, Vivian is a Christmas gift from Mom. She enjoys all things sparkly, fancy and well-read. And she refuses to get out of bed before noon. Vivian is all about glitz, glamor and making sure her “hair” is properly coiffed. A Christmas gift from Sweetie, Franklinette commemorate our first holiday as an engaged couple. 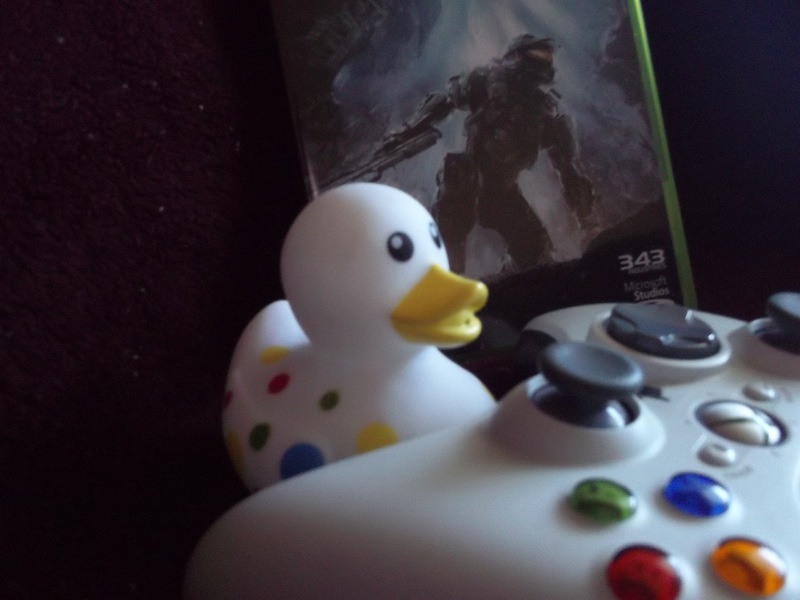 An indoor ducky at heart, Franklinette prefers playing on the Xbox to migrating anywhere for the winter. Just like Sweetie and me. San Franny marks the end of a loooooooong plane trip to see my friend get married. Despite my crippling fear of flying, I managed five plane changes, 10 hours on the tarmac and being stuck in a glass elevator with someone’s screaming toddler at 2:30 a.m. Somehow a refrigerator magnet wasn’t going to cut it to mark this event. It called for San Franny, adventurer extraordinaire and lover of all things that travel-related. Pinky and Perky commemorate my last road trip with Princess. We went to Victoria, Canada, were searched at the border thanks to my wiseacre mouth and got stranded in downtown Victoria without cash. Canada owes me a hot dog. Inspector Fish n’ Chips was acquired on my first trip to London. Again with the fear of flying, but I really wanted to go to Paris and I got to stop in London on the way. 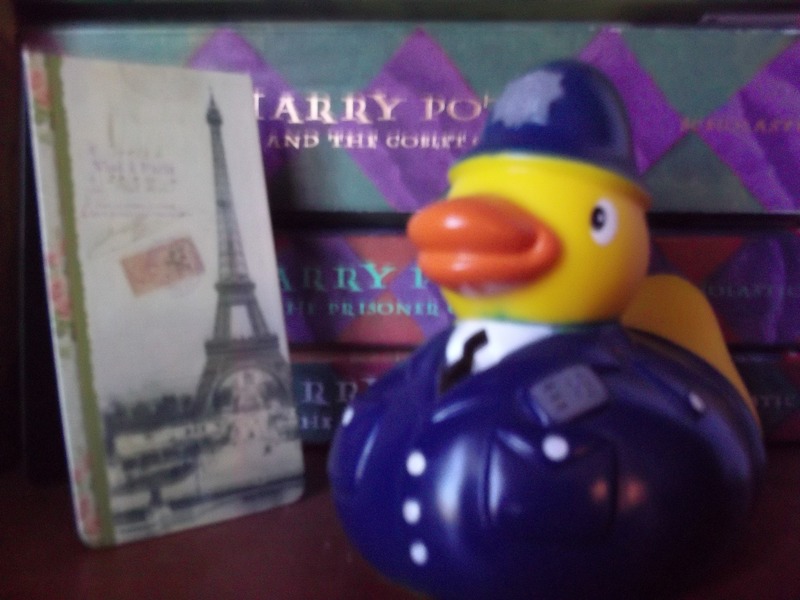 I could not find a rubber ducky in Paris. Maybe they’re too sophisticated? 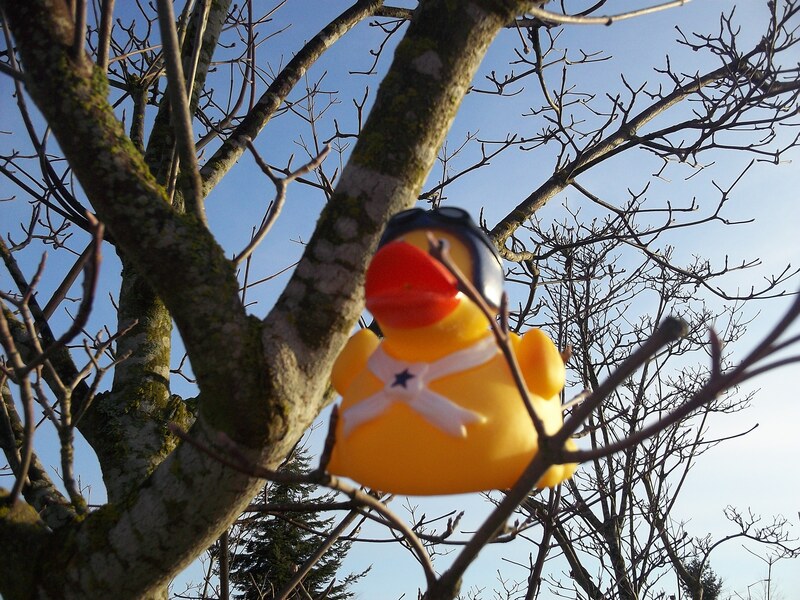 Penske, my one-pound rubber duck, commemorates my family’s big adventure as we moved from Houston to Seattle. We packed our stuff and drove all the way up here in our little caravan. Today, Penske prefers to curl up on the couch with a few good books and watch classic movies on Netflix. Can we have milk with our donuts? These classic original rubber ducks caught my eye and stole my heart during one of my many wanderings through Seattle’s Pike Place Market. One look at their sweet, charming faces and they were destined to join the flock. 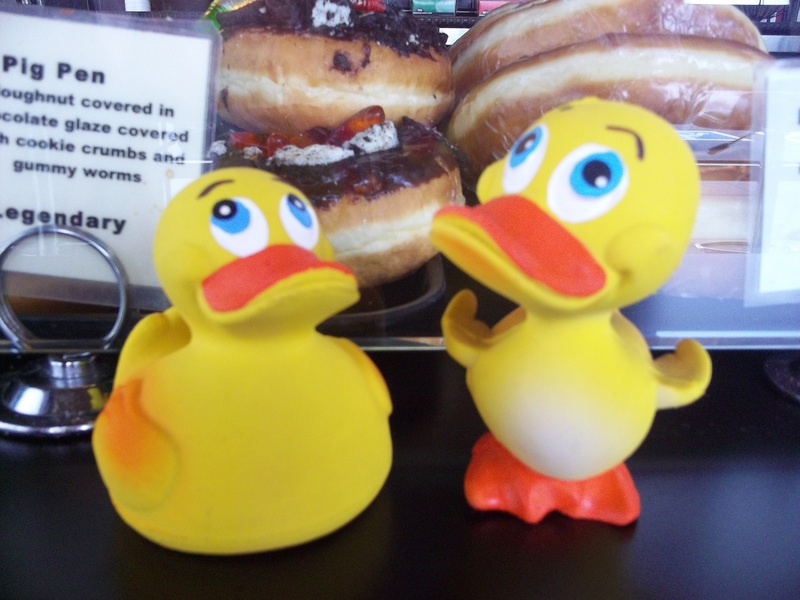 Duckies after my own heart, they favor the occasional fancy doughnut (as seen in picture) to jogging 10 miles before breakfast. Chocolate = happiness. Jogging = nausea. I do have a “To Get List.” I need a France ducky, a Texas ducky and a wedding ducky. But getting them off the Internet just doesn’t have the same meaning as getting them when I travel. But I’ll make an exception for the wedding ducky. I promised no shopping during my vows. Thanks! I’m very fond of my little duckies. I think it’s their charming little faces. thanks for letting me know! I pressed it 🙂 Hoping some people will tell me about their collections too! 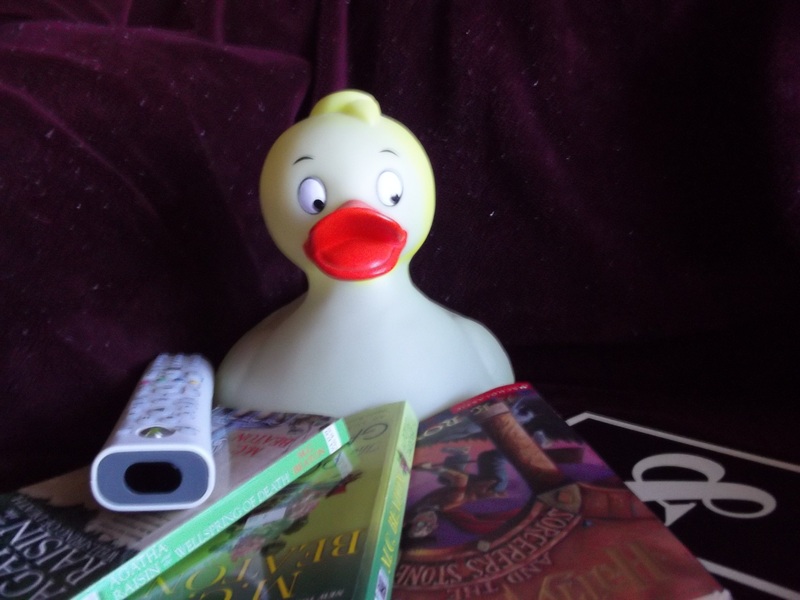 I love rubber ducks, and I love that you’re a writer. My forte is technical writing, but I struggle with copywriting. I have to do it sometimes, but it doesn’t come easily. 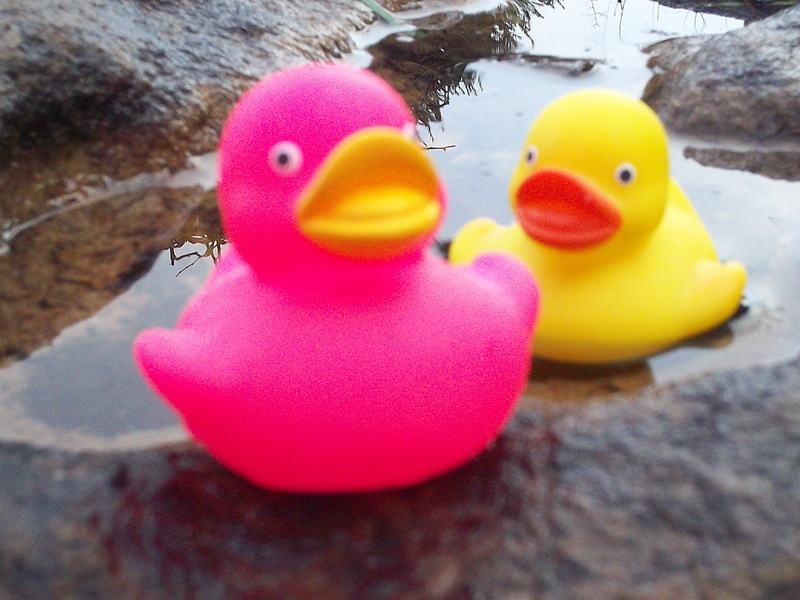 Maybe we can join forces one day:) Thanks for visiting my blog, and I will be following along to read about your rubber ducky/copywriting adventures. Thanks for visiting! And for the kind words. I just discovered your blog Five Years to Mediocrity and really enjoyed it.